The first taste to wake up with in the mornings. With a citrus flair, our Lemon Poppy Seed Danish is a surprisingly delightful treat. 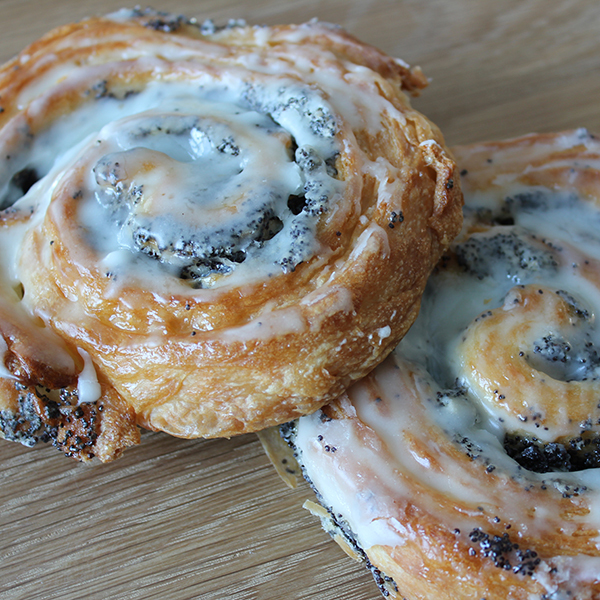 The light and flaky pastry is drizzled in a sweet icing with Poppy Seed engulfed throughout. Flour, margarine, puff veg pastry, whipcream, eggs, sugar, yeast, poppy seeds, gel powder, apricot glaze, icing sugar, lemon extract.